> Many stocks have been so strongly decimated by fisheries that it is no longer commercially profitable to fish for some species. Still, most species will survive thanks to their enormous reproductive capacity. But there are exceptions. Some species could actually be wiped out by humans. It is also alarming that the fisheries appear to influence evolution. Smaller fish often prevail while the larger ones become scarcer. Are fish species facing extinction? Although many stocks have been overfished by industrial fisheries, as a rule this does not result in the extinction of fish species. The classical notion of a species being wiped out by human activity, like the case of the dodo, a flightless bird on the island of Mauritius, cannot be directly applied to fisheries. There is an economic reason for this: long before the last fish is caught it would become unprofitable to fish for it, so it would no longer be pursued by the fishery in the affected region. Specialists refer to this kind of situation as commercial depletion. 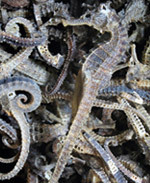 Some fish stocks have been reduced by 50 to 80 per cent in the past. This would spell extinction for many terrestrial animals, especially for species that produce small numbers of offspring. The death of even low numbers of young animals by disease or predation could then completely wipe out such a species. This is not the case with fish. As a rule, the stocks recover. One important reason for the resilience of fish stocks is their high reproductive capacity. Cod can produce up to 10 million eggs each year. An additional factor is that a fish species is usually represented by multiple stocks. 1.11 > Animal conservationists have been trying for several years to reintroduce the sturgeon to German waters. A number of the animals released have yellow markers on their backs. Fishermen who catch one of these are requested to report the number on the marker to the conservation group and return the fish to the water. There is no question that intensive fishing has severely reduced the amount of fish, the fish biomass, in many marine regions. The higher trophic levels are especially affected. The large fish have been and still are the first to be depleted. But even these are usually not in danger of biological extinction. In order to draw conclusions about the status of a fish species, all of its stocks have to be assessed. For several years there has been some controversy about the best mathematical and statistical models to use for this. The Food and Agriculture Organization of the United Nations (FAO) has established a general classification system. It classifies fish stocks as overexploited, fully exploit-ed and non-fully exploited. According to the FAO, almost 30 per cent of all fish stocks are considered to be overexploited. As a rule, however, the species will be preserved. There are, however, exceptions. Some species of tuna fish bring such high prices on the market that catching them is profitable even when their numbers are very limited. One fish can weigh up to 500 kilograms. Certain species, such as the bluefin tuna (Thunnus thynnus), which lives in the Atlantic, can bring a price of 100 dollars per kilogram. In Japan, hundreds of thousands of Euros may be paid for the first or best tuna of the season. Expensive fish is a mark of prestige there. Furthermore, the first tuna of the season are considered to be bringers of good luck, for which some customers will pay a lot of money. For practical purposes, fishing for such valuable specimens can be compared with hunting rhinoceroses on land. As late as the 1920s bluefin tuna still appeared regularly in the nets of Norwegian mackerel fishers. Today this species has completely dis-appeared from the Kattegat and the North Sea. And in the Atlantic there are only very small numbers of bluefin tuna remaining. 1.12 > Around the year 800 the European sturgeon was indigenous to many rivers and almost all of the coastal areas of Europe. 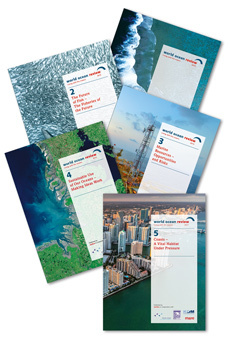 Since then its marine distribution has shrunk significantly, and it is now limited to the region between Norway and France. The only remaining spawning area of the European sturgeon is the Gironde Estuary in France. Other species of fish are threatened with extinction because they are under multiple pressures at the same time, both from fisheries and destruction of their habitats. One example is the European sturgeon (Acipenser sturio), whose distribution once extended from southern Spain to eastern Europe. 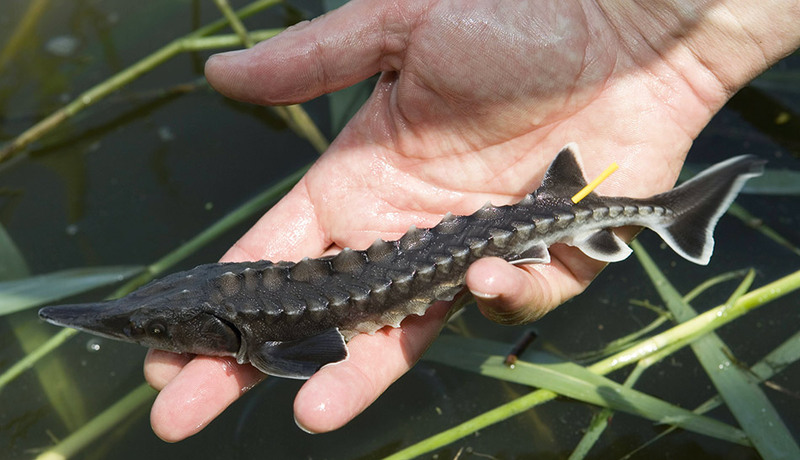 The sturgeon spawns in rivers and grows to sexual maturity in the sea. Like salmon, the European sturgeon migrates back into the rivers to spawn. The species once inhabited the Eider, the Elbe, and small north German rivers like the Oste and the Stör. But over the past hundred years the stocks have greatly declined. Today there is only one remaining stock in Europe, in the Gironde Estuary in southwest France, but it has also been shrinking in recent years. 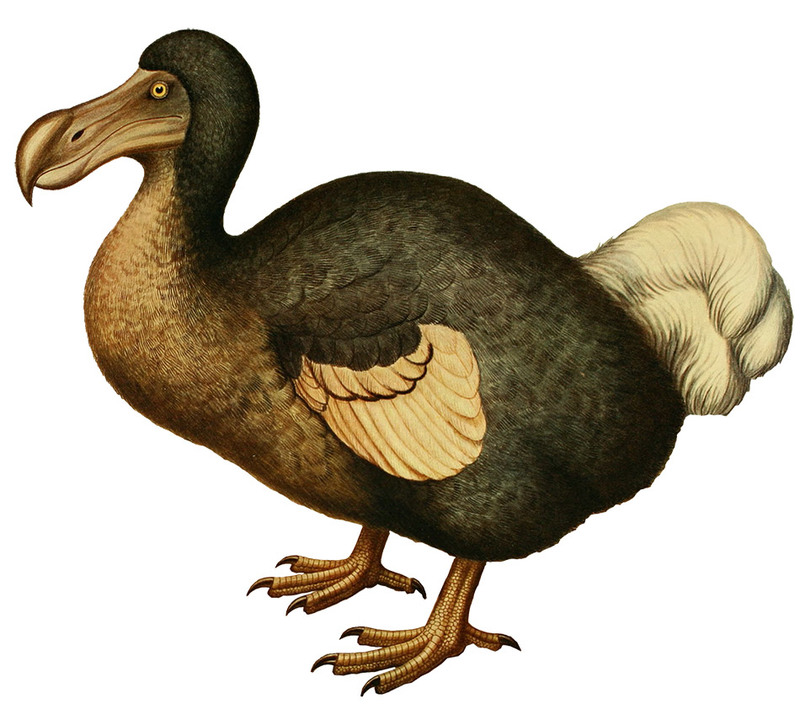 1.13 > The dodo died out at the end of the 17th century. Native exclusively to the islands of Mauritius and Réunion, the flightless bird had no natural predators before the arrival of humans. It was completely wiped out by imported rats, monkeys and pigs.